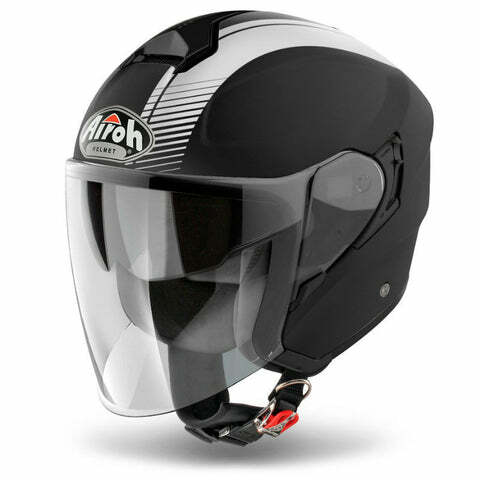 Open face helmets don't get much better than this... the Airoh Hunter is an urban open face helmet that not only gives you a more free feeling while you ride but makes sure you look stylish and comfortable with it's modern design and integrated sun visor for those low-sun rides. Utilising a 3 size HPC (High Performance Composite) shell the Hunter is lightweight and guarantees a good fit along with its hypoallergenic inner lining. 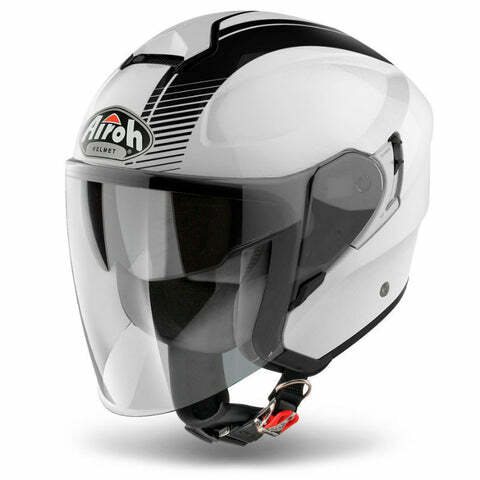 The Airoh Hunter is the perfect touring helmet for the rider who prefers having an open face to take in scenery whilst taking advantage of modern features. 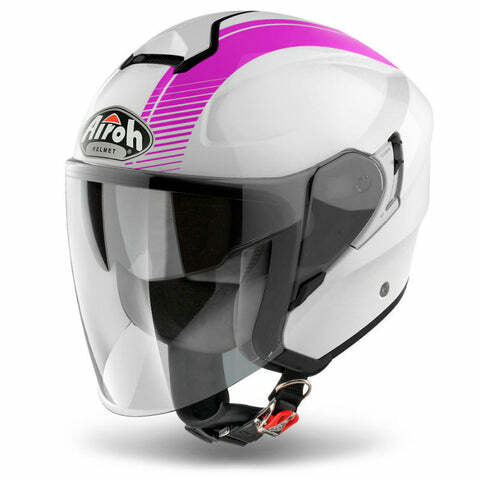 The Airoh Executive R is a unique and innovative helmet similar to a flip up style but with more versatility. 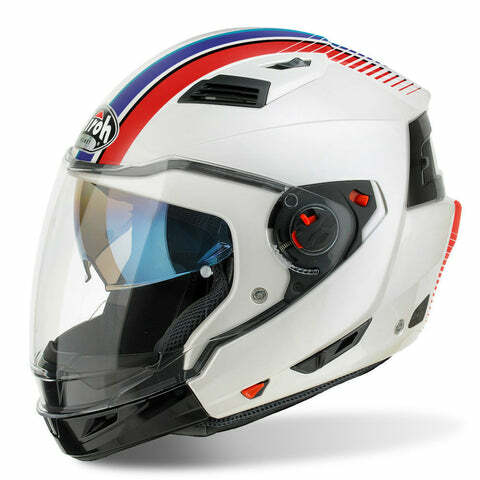 Utilising the Airoh patented CHS Chin-Guard Holder System feature it allows you to remove the chin guard using the buttons at the side and place it in the holder at the back of the helmet which not only keeps it out of your way but adds a nice style to the helmet, while making it an open face and full face lid. 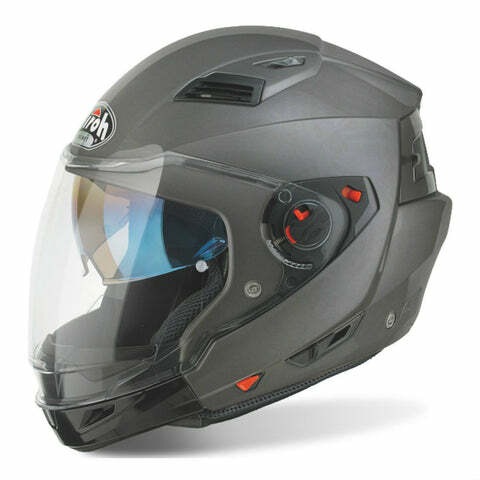 Like all Airoh helmets the Executive R hosts a stack of features that make riding more comfortable like the integrated drop down sun visor, pinlock ready outer visor and efficient venting system. 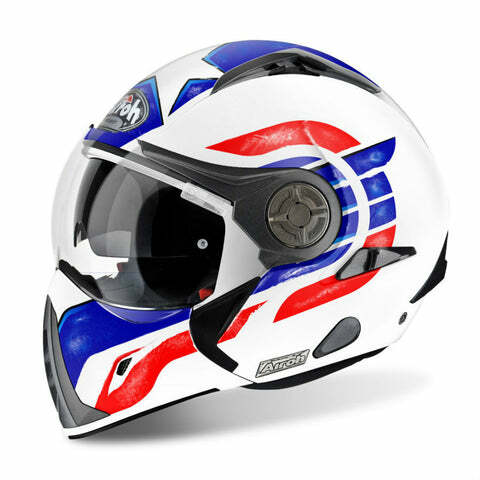 Airoh modular helmets are unique in every sense and the J 106 is no exception thanks to a range of features that make it a comfortable and versatile helmet that can easily be swapped between a full face & open face helmet. 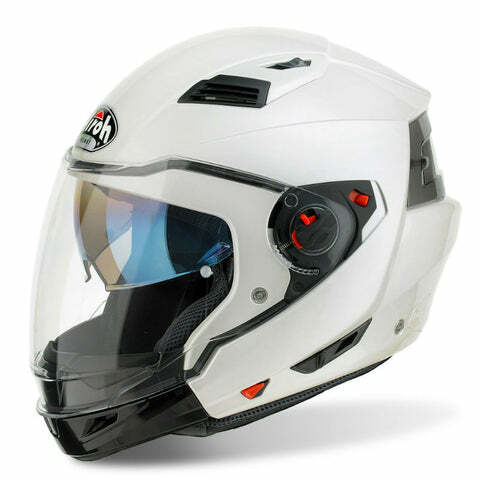 A HRT thermoplastic shell construction makes this a lightweight model while the removable chin guard bar allows you to open the face of the helmet whenever you like. Helping you see the road ahead is the extra wide vision lens which comes Pinlock ready and an integrated drop down sun visor stops glare when the sun is low in the sky. 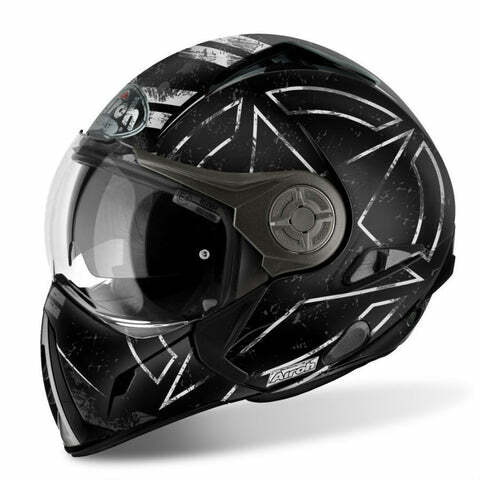 A small bluetooth wiring opening in the side of the shell means you can feed any external wiring direct in to the helmet instead of going on the outside of the liner.